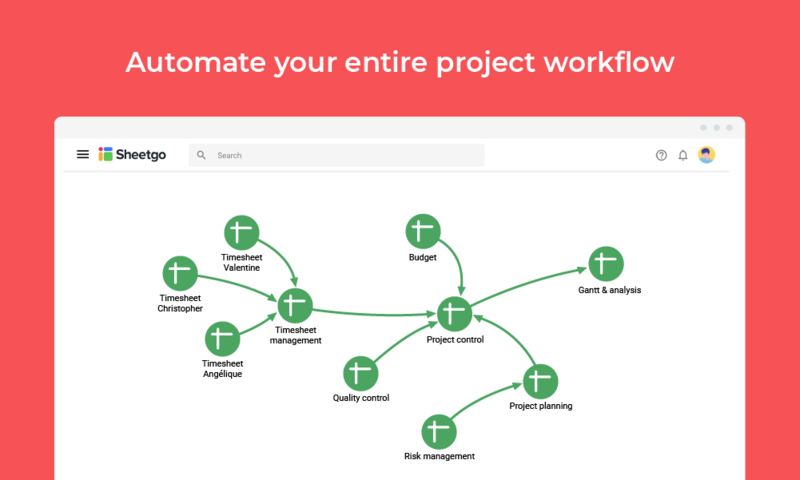 Today, we are announcing our new vision on workflows. Sheetgo was actually supposed to kick-off in 2010 which is when Google saw it and said, “wow, you created an ERP with our spreadsheets, online? We didn’t know that was possible.” Despite a waiting list of clients, our inventors realized it was too early. The technology wasn’t ready, not only because of the difficulty interconnecting data between spreadsheets in a reliable way but also because companies were not yet working on the cloud. It was only in 2016 when we saw that the market was finally moving to the cloud and when we launched a ‘connector’ so users could connect sheet data easily and reliably. 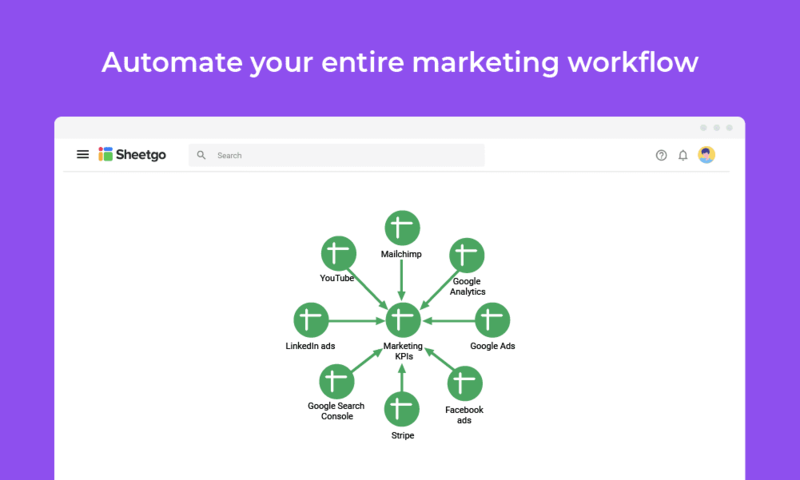 After becoming the spreadsheet connector reference and after 9 years since the original idea, we realized that users were doing what we had originally conceived: automation of work from spreadsheets. 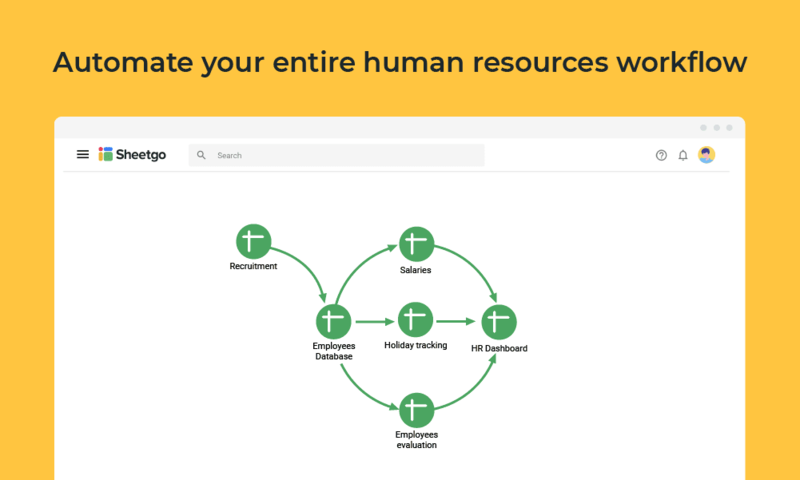 Now in 2019, with 500,000 users worldwide, we have rebranded and embarked back to the original vision, to allow people to build their automated workflows, even ERPs, right from their spreadsheet. We will also release workflow templates, faster performance, material design 2.0 UI, and that’s just the start of what will be an innovative year, thanks to our financial backing. Sheetgo was named the best startup in Iberia, the best B2B service company, and the most scalable startup in 2018. 500,000 users in 171 countries, not bad considering the less than fractional investment received compared to our US competitors, some which have not been able to keep up. Now, in 2019 Sheetgo is taking a leap towards becoming a platform. 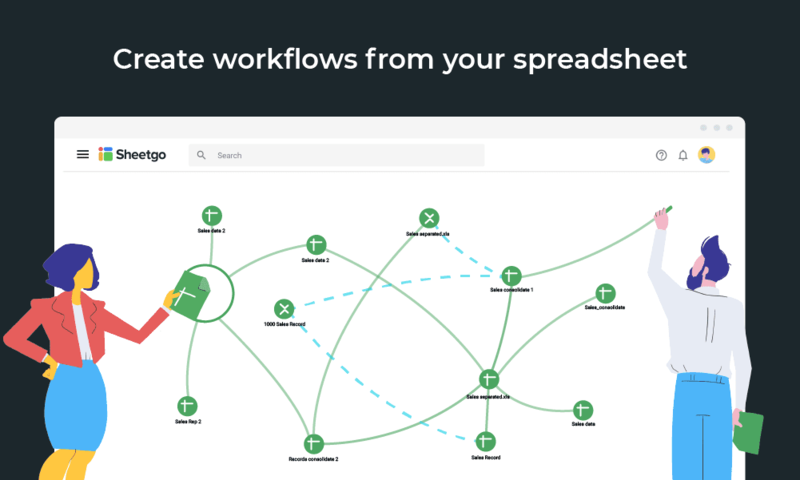 This new phase will help millions of online spreadsheet users to create their workflows processes using just spreadsheets. To accomplish this vision, Sheetgo has closed a financial round, led by one of the biggest Spanish funds. 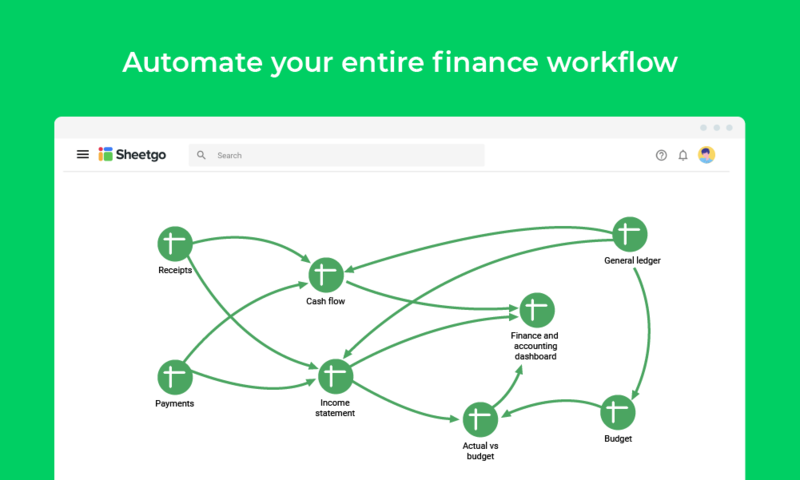 We will now empower everyday office workers to build workflows right from their spreadsheet and automate their work. All this without having to buy software or SaaS for every other process but rather keep using the technology you already know and have paid for. 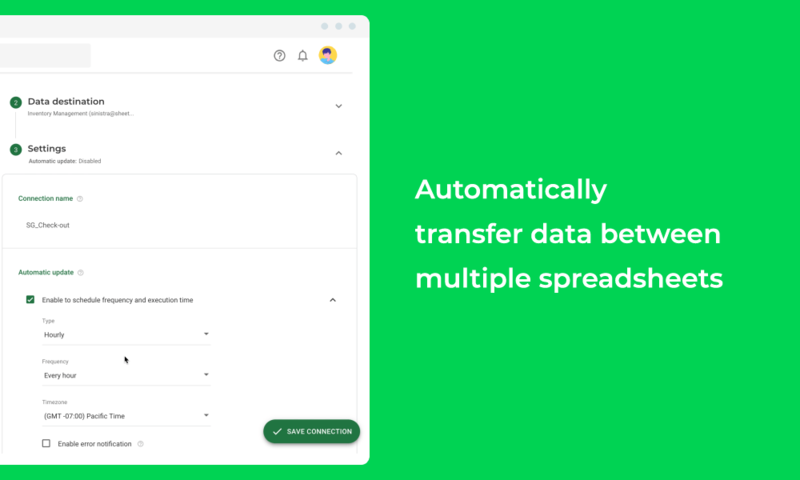 Sheetgo expanded its mission from connecting spreadsheets with any type of file to enabling users to set up entire systems that keep running automatically. Managing data can be a hard and time-consuming task. This is why we redirected our product approach to “Workflow first”. Users are given a headstart to creating their workflows in a few minutes, saving hours. 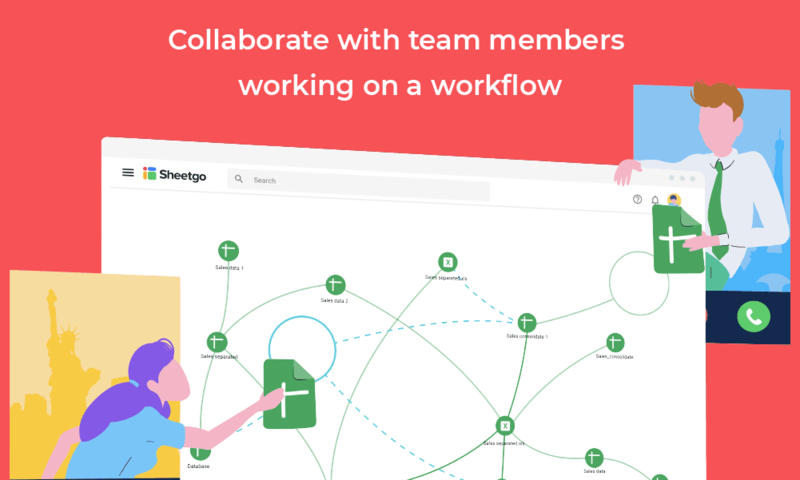 On top of that, one of Sheetgo’s newest features Network View helps you to understand your data dependencies and enables you to view spreadsheets for clear visualization of entire business processes. Google is reengineering its approach to design with “Material Design 2.0”, and since we are close to Google product users, our product is evolving just as vibrant. This to ensure smooth sailing for G Suite users when it comes to the experience of using Sheetgo. Another important improvement is the general performance of the engine which now has more power to transfer data between subtypes of tabular formats such as CSV, Google Sheets and XLS(x) files. Loading elements such as the list of connections inside a workflow and the response speed of the interface now goes double as fast! 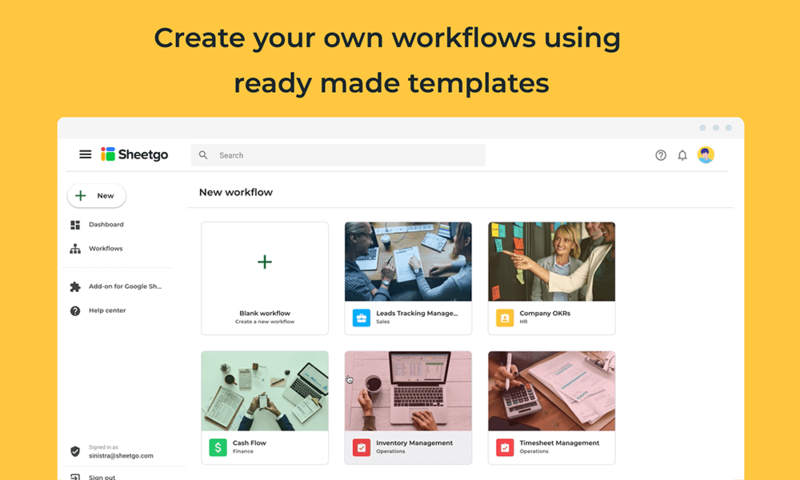 To help you set up your workflow, we now provide an entire gallery with templates to create spreadsheet-based workflows saving you time personalizing your business processes. 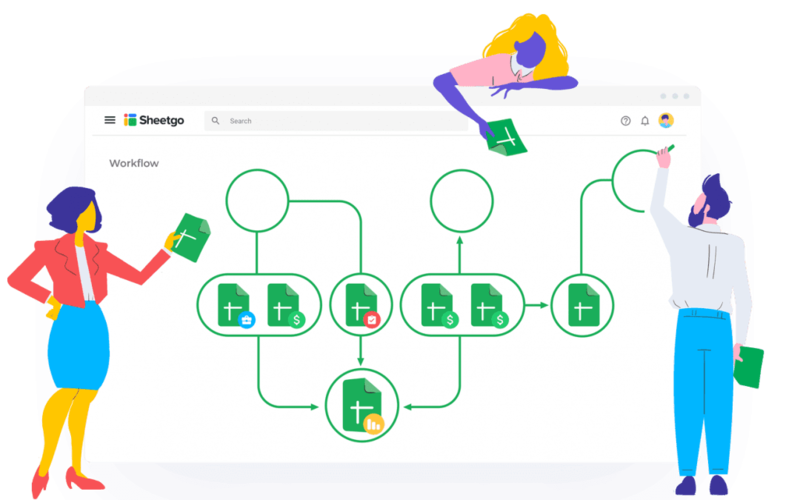 You might question “What is the difference between these templates and others I can find all over the web?” Sheetgo’s templates are designed to be entire systems where managing and collaborating are made incredibly easy.